Photodynamic therapy (PDT) is increasingly being used amongst health practitioners in combating a variety of diseases. This book reviews the current state of development of PDT, and also presents the foreseeable advancements of the field in the next decade. Practitioners in biological sciences, biotechnology and medicinal and pharmaceutical chemistry will find this book an invaluable source of information. 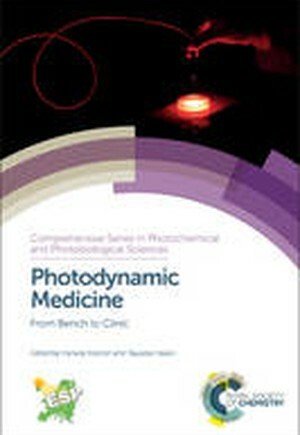 Chapters are drawn from research discussed at the 10th International Symposium on Photodynamic Therapy and Photodiagnosis in Clinical Practice in Brixen and are written and edited by leaders in the field. Mirroring the philosophy of that meeting, this book contains an informative balance of the basic science and clinical applications of PDT. Following an introduction to PDT, its history, and how techniques have developed, chapters serve as a practical guide for practitioners, covering topics such as sensitizer dosage and light dosage, and examples of relevant studies. The text goes further to explore areas outside the medical field, such as the impact of PDT on society and the environment, and the economics of therapies. This book is dedicated to the memory of Professor Giulio Jori, an expert in this field, who sadly passed away on the 23rd December 2014.